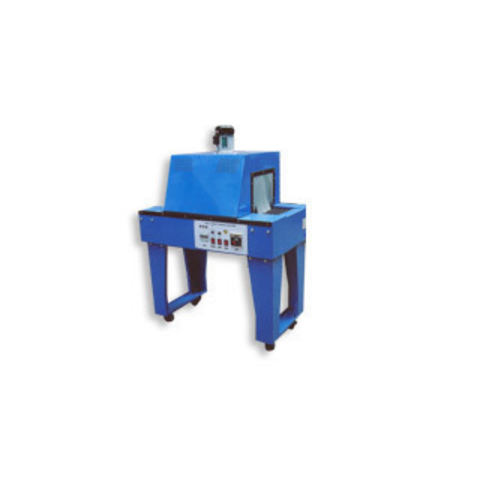 We are leading supplier of Shrink Tunnel -PSTM 150. ADVANCE PACKAGING is a leading manufacturer and Supplier of packaging machines and packaging equipment believing in giving your products Personality & Protection. We have our factory centrally located in MUMBAI (Bombay) with transport facility to easily reach any part of the globe. Trained manpower with 15 years of experience backup & stringent in house quality control measures ensures high standard of quality of our machines which end up to perform reliably time after time in highly adverse & demanding environments. Concentration of our total resources has enabled us to develop an extraordinary understanding of pouch sealing/heat shrinking technology & to design a wide range of pouch sealing/heat shrinking machines to suit for various products to be sealed / shrinked & various kind of pouch/shrink materials. We are committed to strive in ensuring your products Personality & Protection thereby playing a great role in the packaging industry in this millennium.